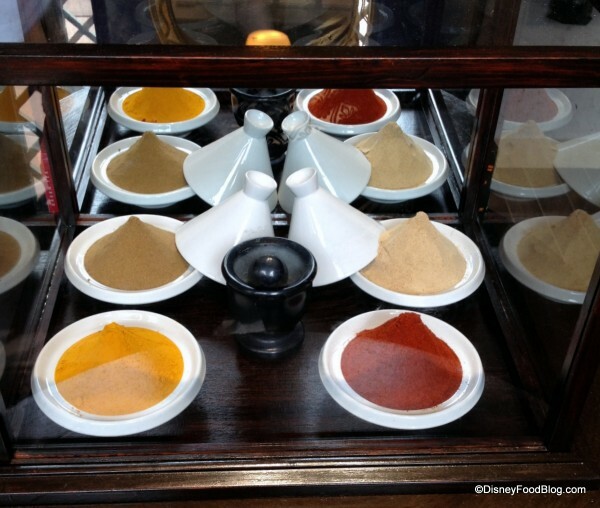 Behind the curio housing the spices, the back of the round table holds a variety of Middle Eastern and Mediterranean food products. A nearby collection of shelves displays additional food and beverage items. Don’t worry…we’ll get up close and personal with many of them in just a second! 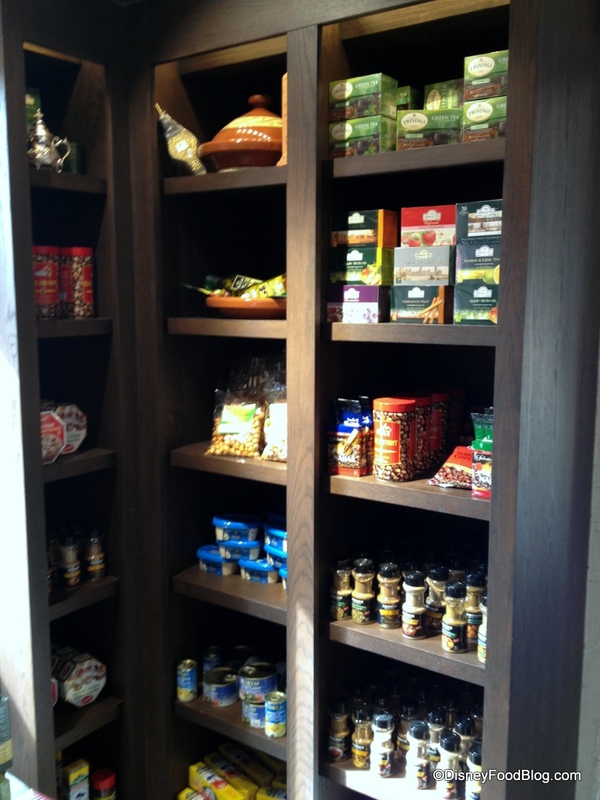 Decorative objects, like a teapot and a tagine, crown the niches at the top, but the rest of the shelves are filled with foodstuffs. 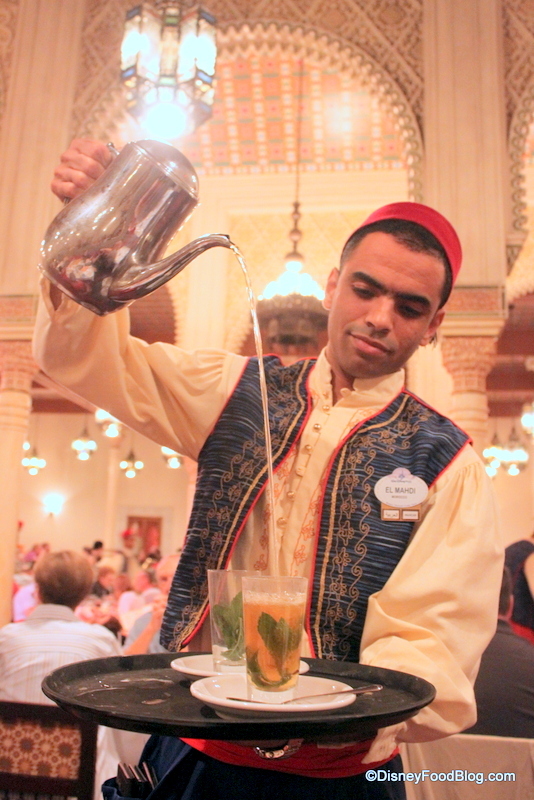 Many guests love the Mint Tea and delicious Coffee available in the Morocco Pavilion. 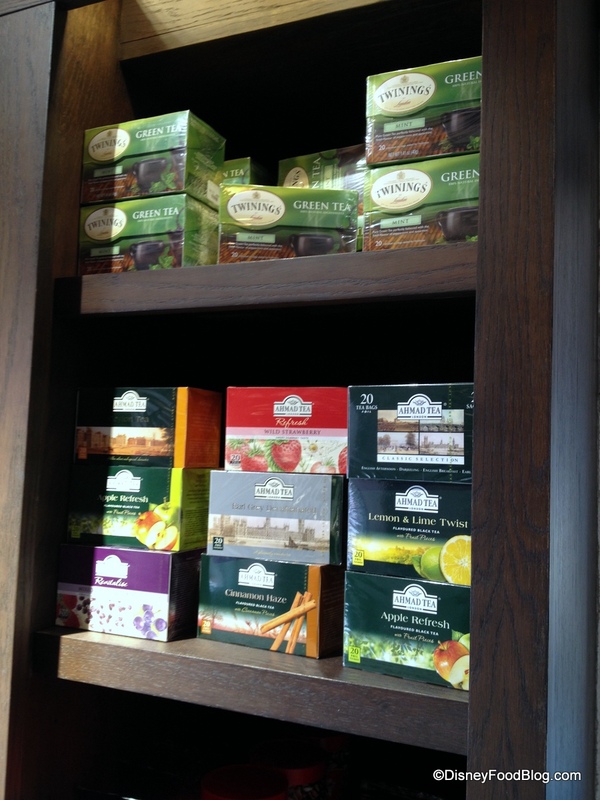 Tea drinkers may enjoy browsing the selection of Ahmad Teas. 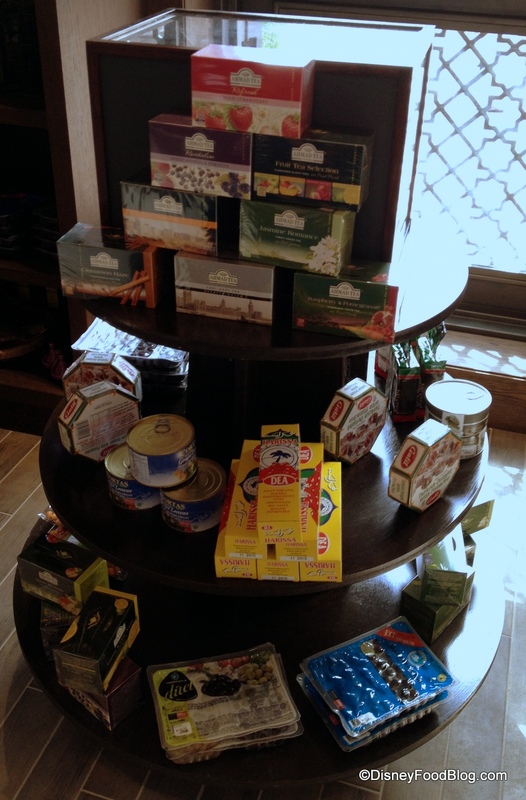 Twinings Mint Green Tea is also available at the top of the display. Varieties of Coffee are available as well along the back wall of the shop. 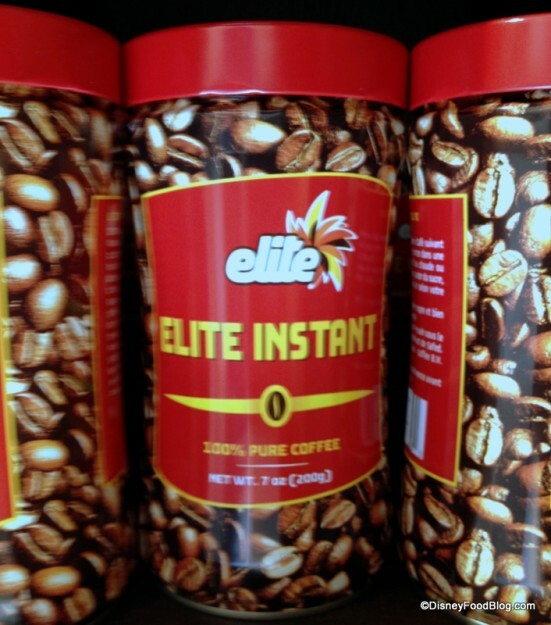 For coffee on the go, you may want to pick up a container of Instant Coffee. 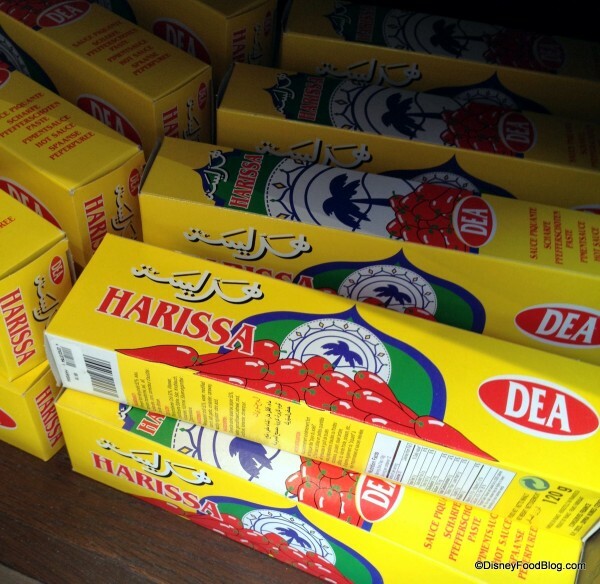 This display of Halawa sent me running for my food dictionary! At first, I thought it was hummus. But after doing a little research, I found that it’s actually a sweet confection. 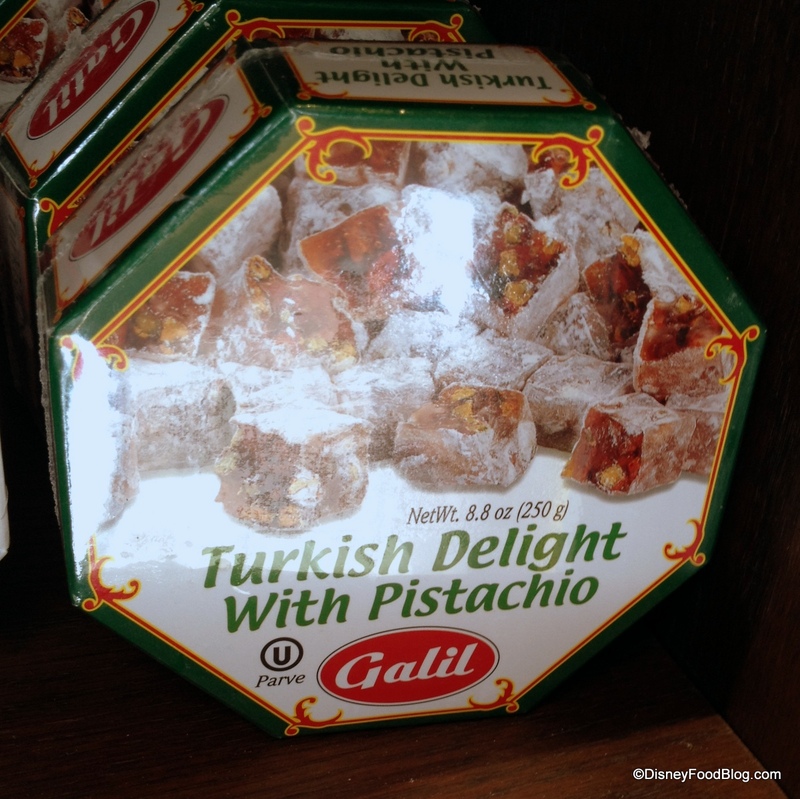 Another Middle Eastern favorite, Turkish Delight, is available in two varieties. 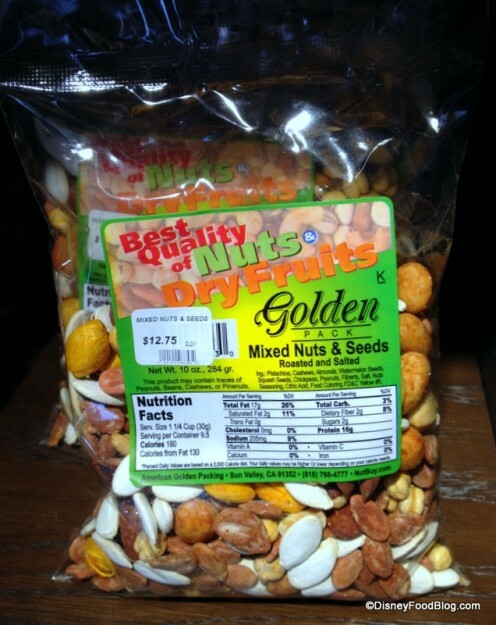 You can choose the green box, which features Pistachio as the only nut. If you want a taste of the authentic stuff, try the Hummus featured in tins here. 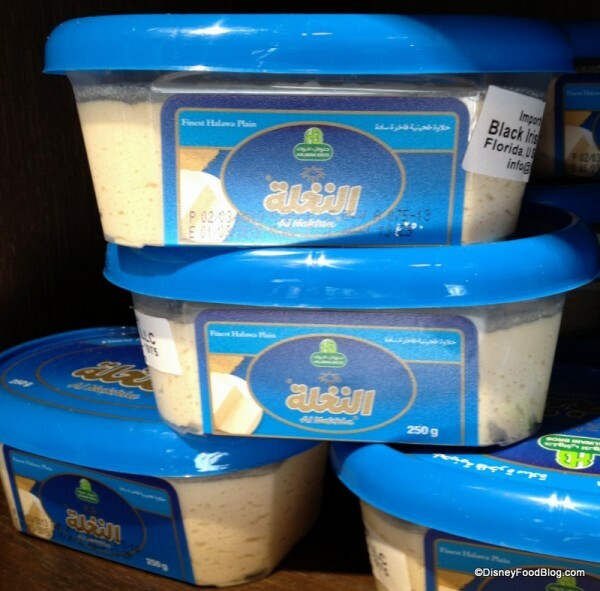 Sure, you can get hummus at your local grocery. But c’mon. This one is the real deal! 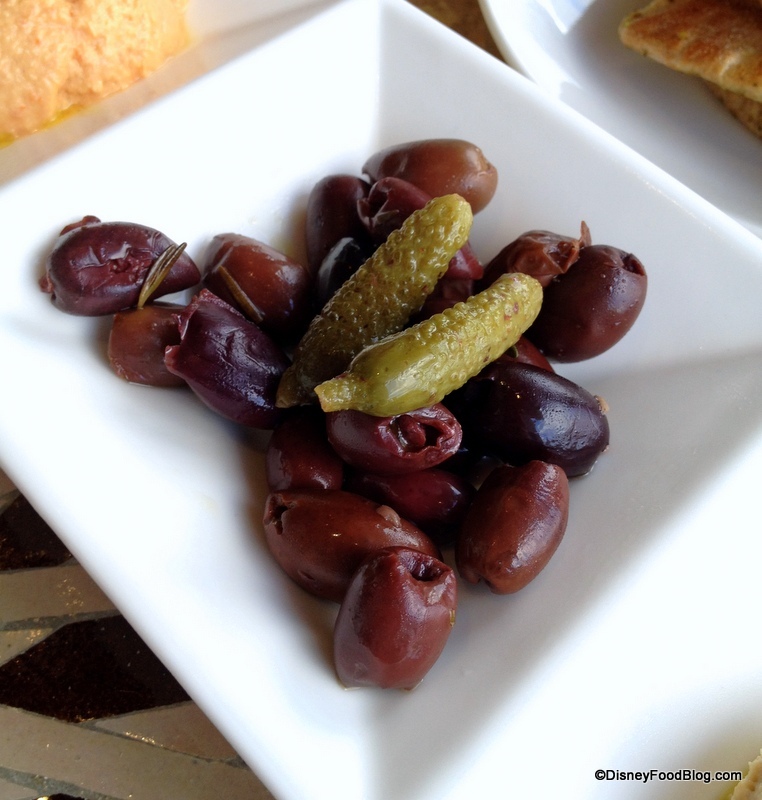 Recreate Spice Road Table’s Hummus and Olive Sampler at home by picking up the Olives here, too! If you enjoy the spicy kick of the ketchup that’s featured with the Harissa Chicken Roll, look no further than this display. Zip your condiments right up with the addition of the spicy, chili-based paste. It’s also great on your falafel! 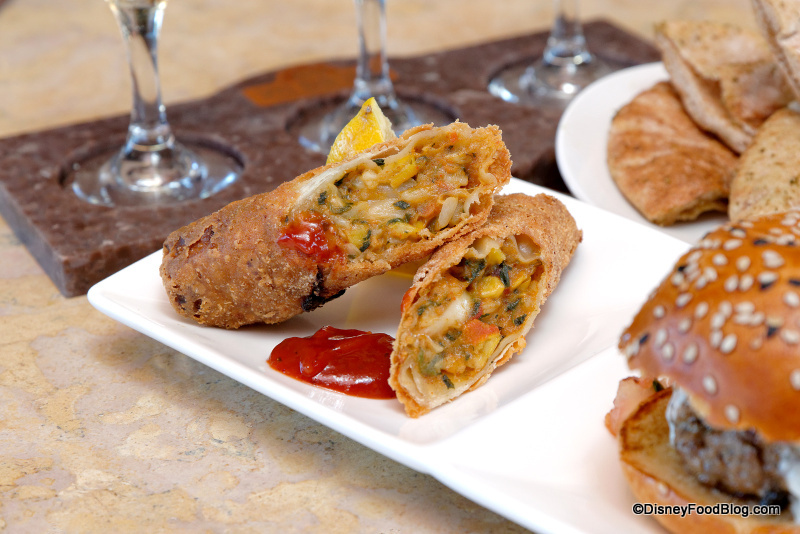 In the meantime, I’m going to lobby hard for it to make an appearance on the Spice Road Table menu as another vegetarian option! 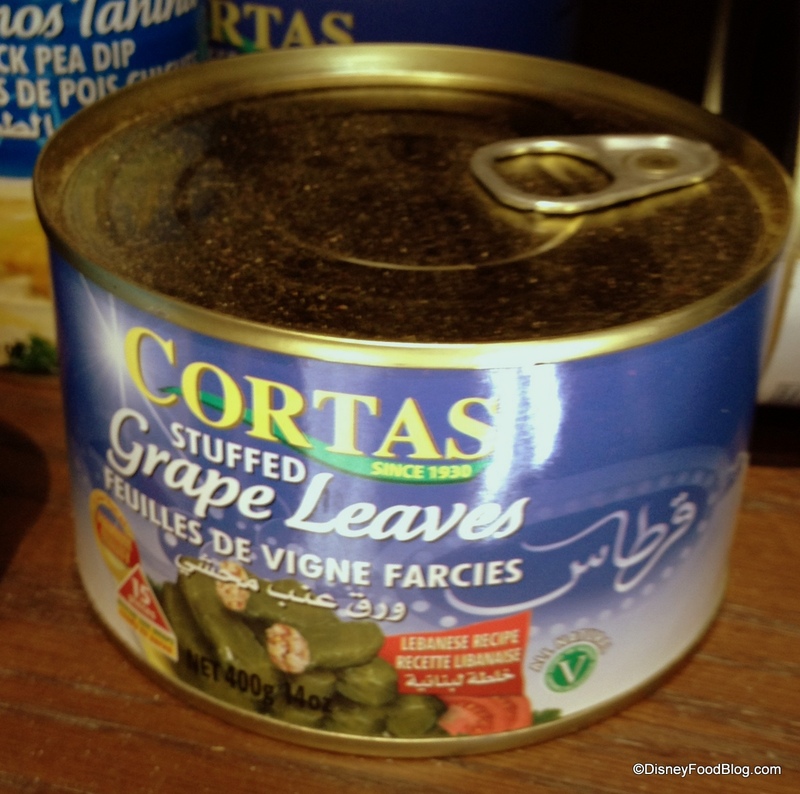 Stuffed Grape Leaves are also available, if you’d like the taste, but don’t want to mess with making them yourself. If you enjoy the distinctive floral flavors of some of the sweets available in Spice Road Table or at the Juice Bar, check out this display of Orange Blossom Water and Rose Water. 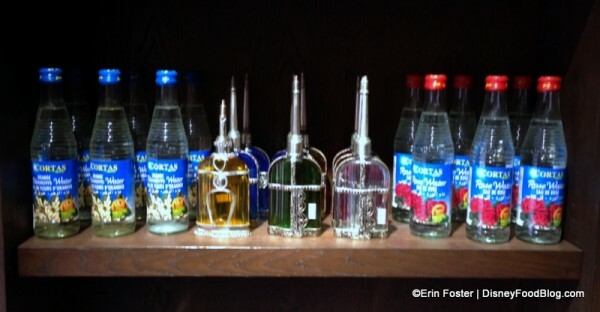 The decorative bottles are gorgeous, too. 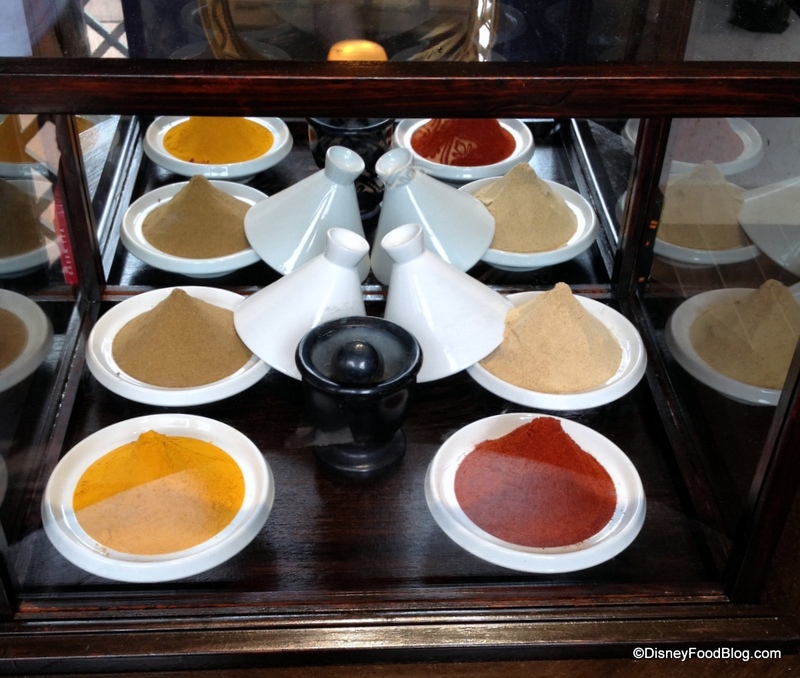 In addition to everything I’ve shown you, there were also Spice Blends that may be just what you’re looking for when you decide to cook your own Mediterranean feast at home. 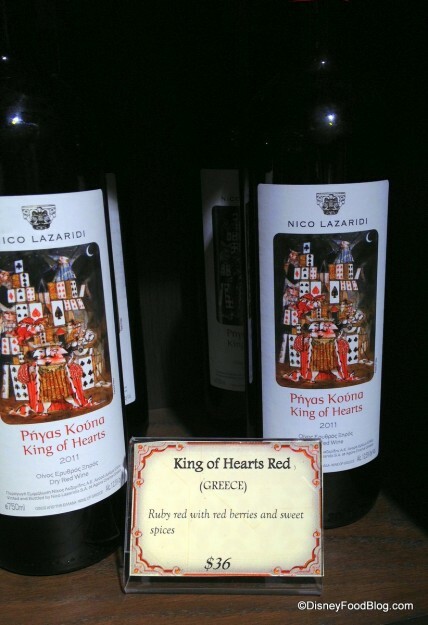 Around the corner, there were also large collections of two other important items at Spice Road Table — Olive Oil and Wine. 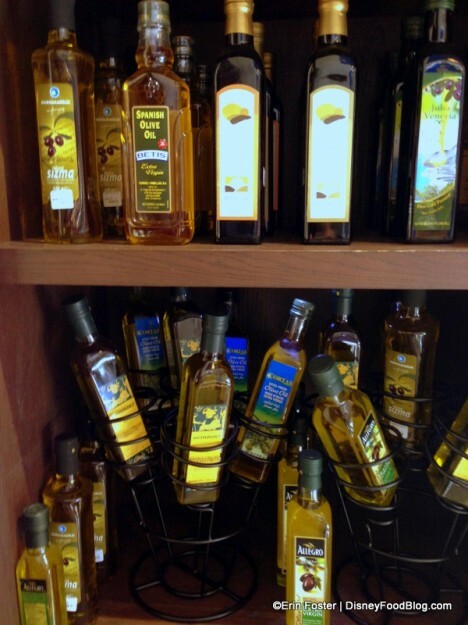 Several Olive Oils from different countries of origin are on display for purchase. 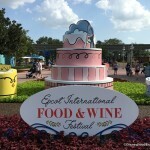 While all of the food items are seriously fun to explore, perhaps the most interesting items available here are the Wines! 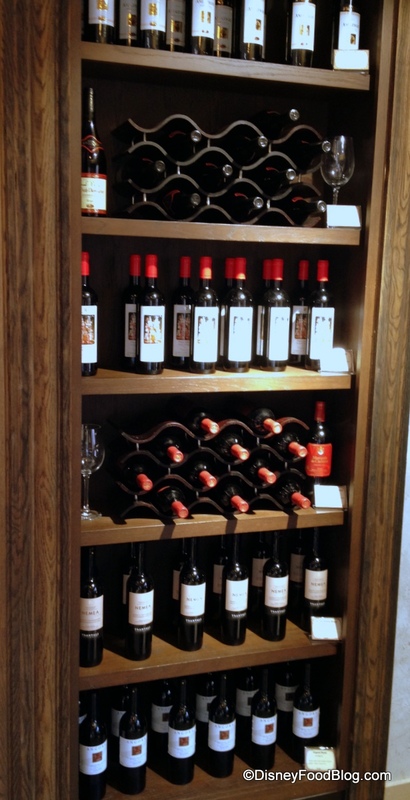 As promised in all of the lead-up to Spice Road Table’s opening, the hot new place for Tapas serves wines from the throughout the Mediterranean region. But even cooler? If you fall in love with the wines you sample in the restaurant, several are available by the bottle to take home! 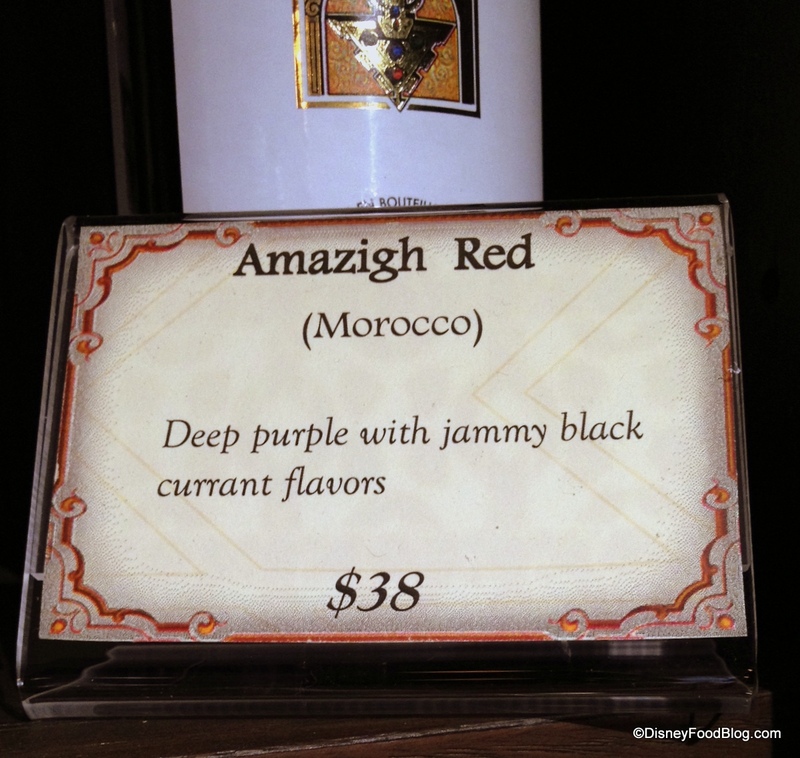 How about a nice red from Morocco? 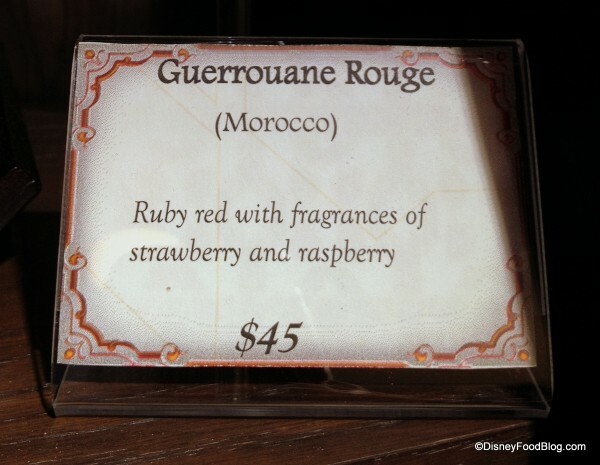 Guerrouanne Rouge might fit the bill nicely. One of our friends had the chance to sample the Amazigh Red from Morocco as part of Spice Road Table’s Red Wine Flight, and said that it was very good — light-bodied, and very approachable. This has been available the Morocco pavilion for years, though! 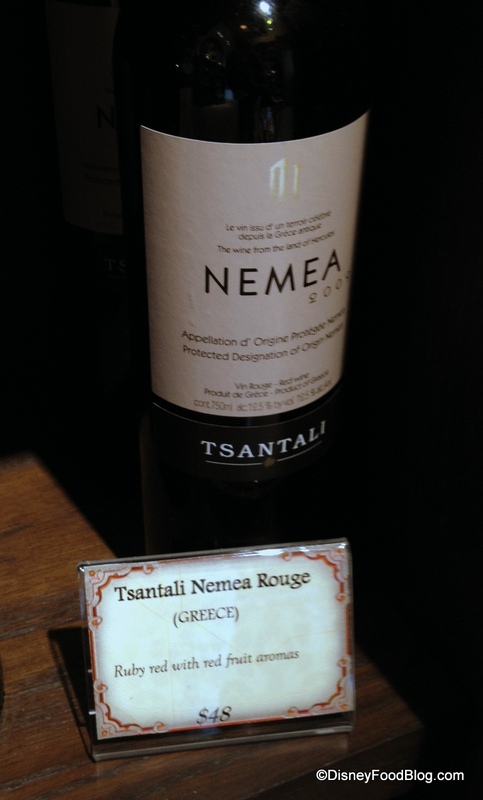 The Tsantali Nemea Rouge hails from Greece as well. 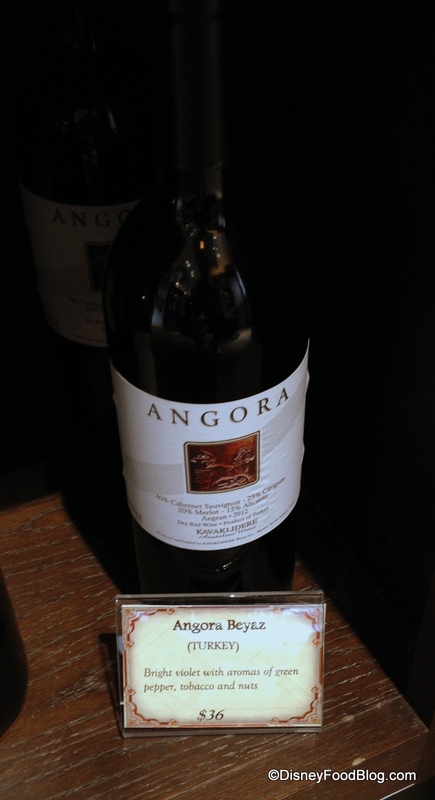 The Angora Beyaz Red from Turkey also got high marks with its more herb-y flavors. It’s a little curious that there are no White Wines available in the shop at present. I’m sure folks who enjoy the White Wine Flight will be looking for them! Maybe we’ll see varieties shift around a bit when warmer weather gets here. So there you have it! Even more reason to head over to Epcot’s Morocco Pavilion and check out all that’s new with the opening of Spice Road Table and the adjoining shops. Will you be procuring ingredients to recreate your own Taste of Marrakesh at home? Leave a comment and tell us what you’re most excited to see here! « Coming Soon! The Smokehouse at Downtown Disney! 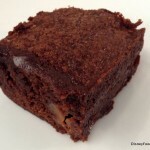 I love Halva! 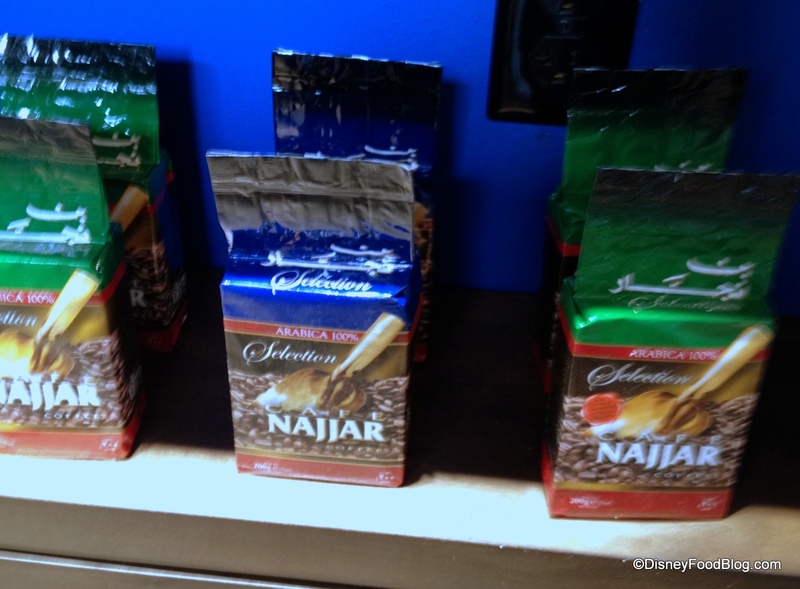 Dad used to buy the Israeli kind from the store. He’d get the chocolate sesame kind. It was so yummy. 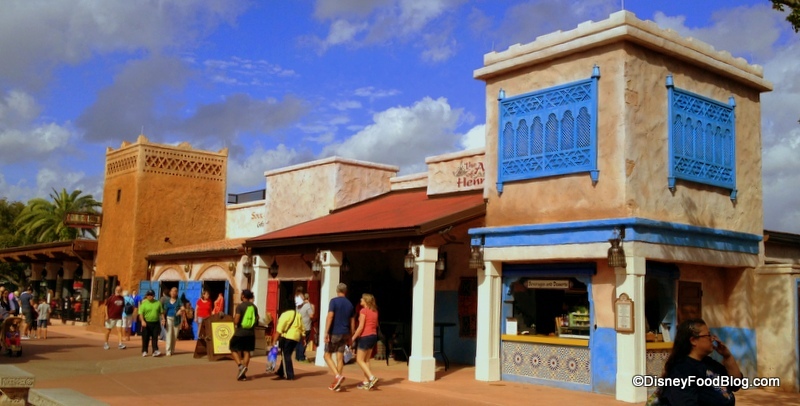 This is why I love World Showcase, the immersive feeling of being in other countries if only for a little while. Morocco is always one of the best browsing experiences. I think Spice Road Table is a good addition. Thanks for showing us more on what’s new there in the area. YES! I ALWAYS think of Narnia when I see/eat Turkish delights. When I saw them in the movie I thought they were, like, meat or something. 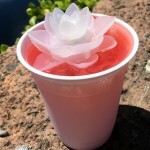 Now I love them (rose-flavored ones are my favorite, then lemon/orange). I thought I was the only one! All of these products look really interesting, and most tasty! So, how exactly do you eat Halva? 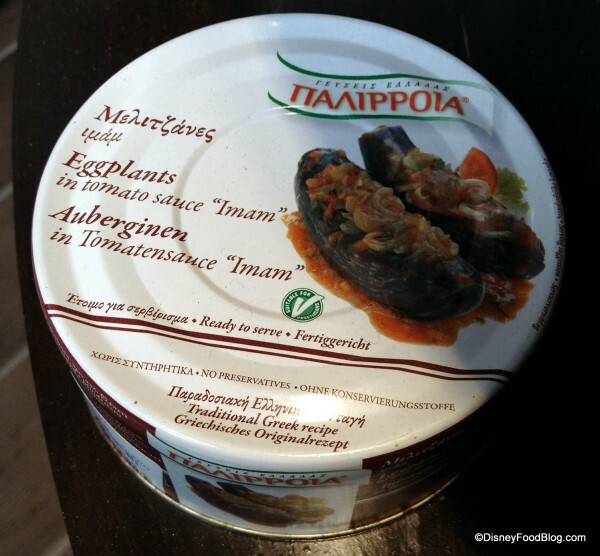 Do you spread it on a pita? 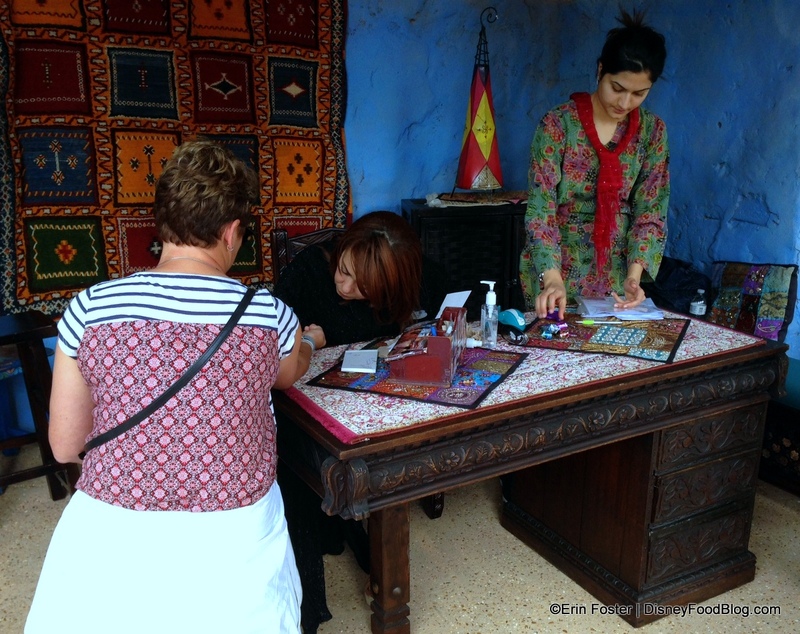 Thanks for such a comprehensive review of the new digs in Morocco. I can’t wait to try EVERYTHING! 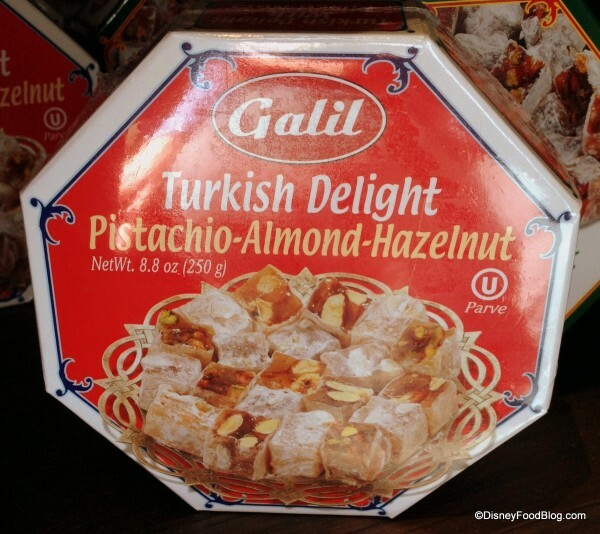 Every time I hear someone mention Turkish Delights, I think of Narnia and that boy with the powdered sugar all over his face. Too funny….Great review! 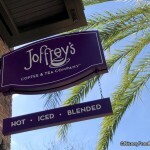 I might have to take my husband there while the kids are enjoying the resort pool with their granny! 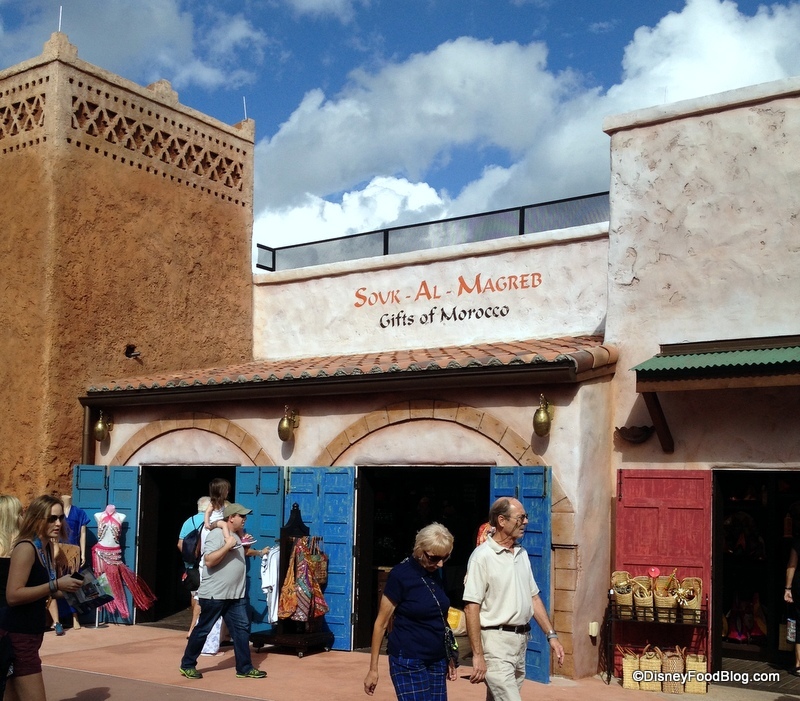 If you want a taste of the products featured before your next trip to WDW; try a Greek, Lebanese or Middle Eastern store. 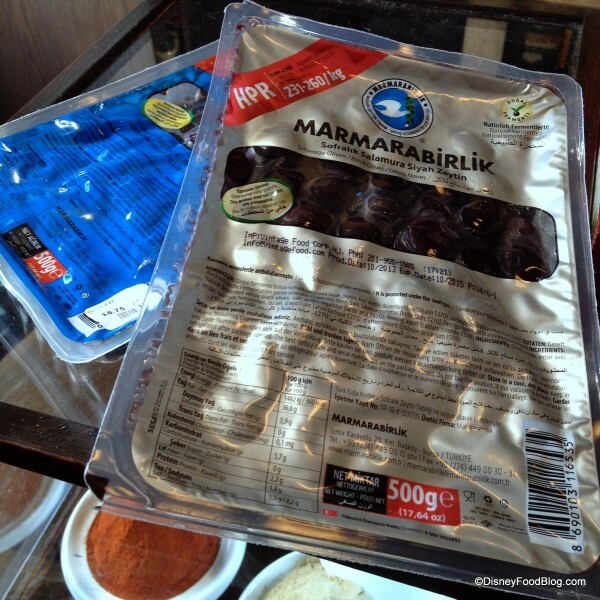 I’ve also seen the Harissa, Turkish Delight, and stuffed grape leaves at the more commonly assessable chain store “World Market”. 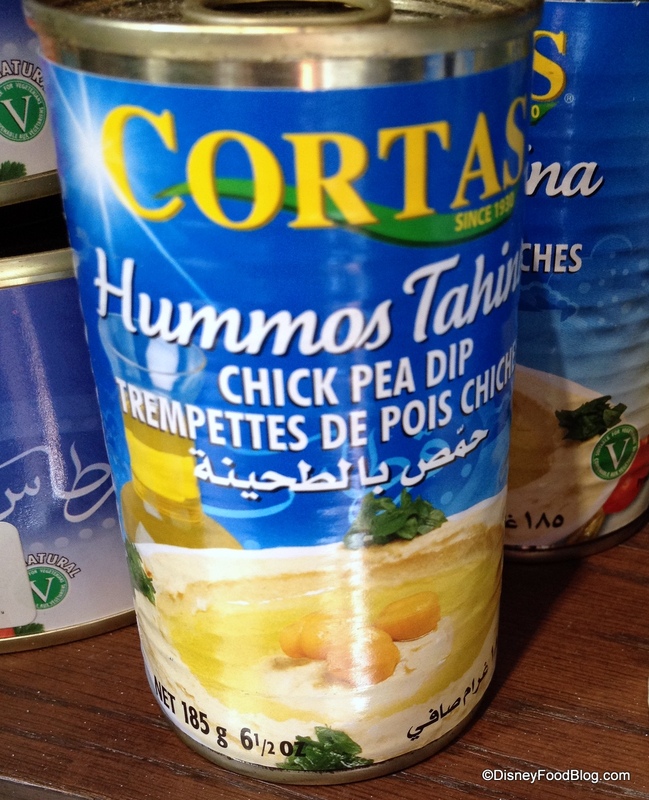 One word of warning tho…canned Hummus, and Stuffed grape leaves are not that great. 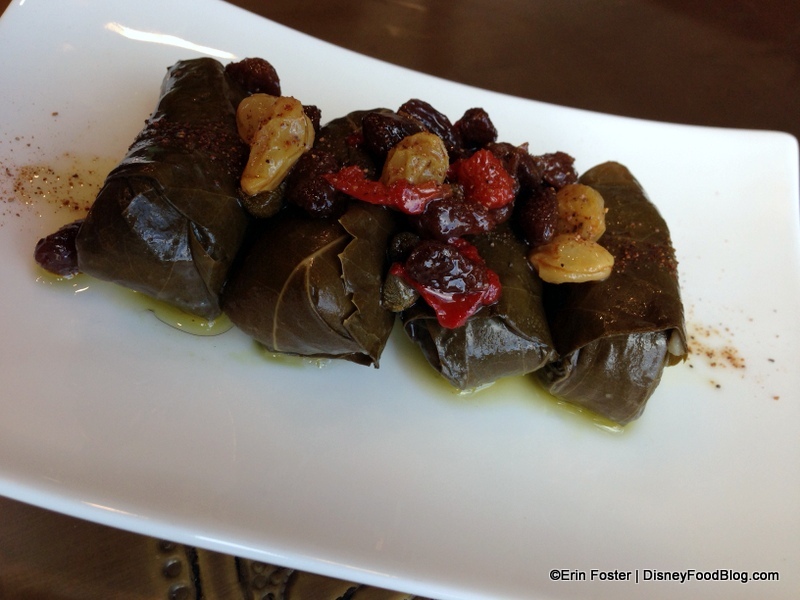 You can sometimes find stuffed grape leaves frozen at Greek or middle eastern market. Along with freshly made cookies and deserts. These things are so exotic and foreign to me, but also very interesting. 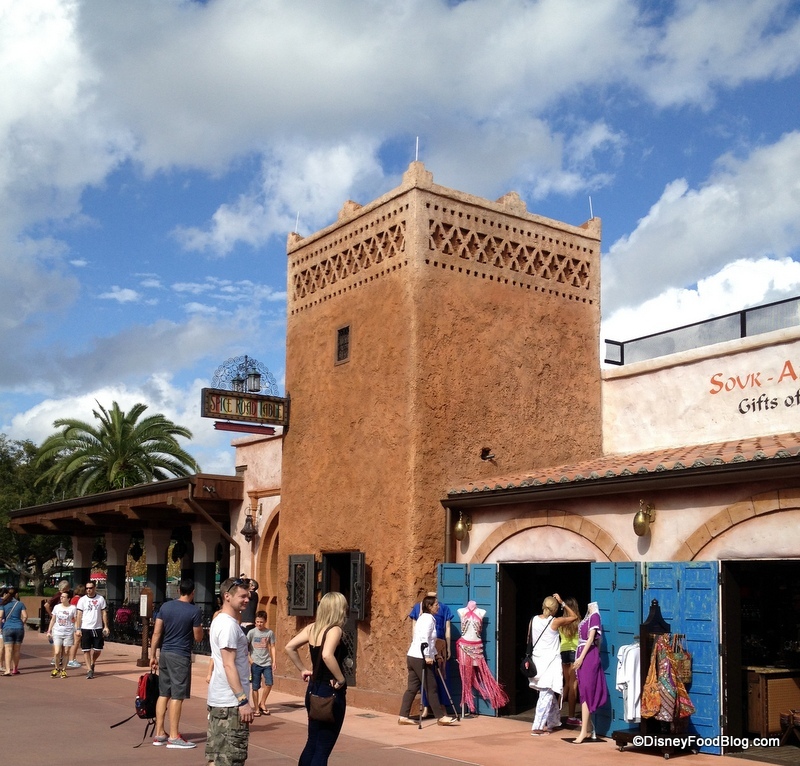 I love the Moroccan Pavilion for it’s’s beautiful tile work and I will certainly checkout this new section on my next trip. Your blog is a joy. 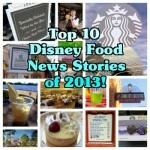 It’s been a very cold and snowy winter here in Indiana so far and reading about my two favorite things — Disney and food! — is a welcome distraction. Can’t wait to check this place out in person. 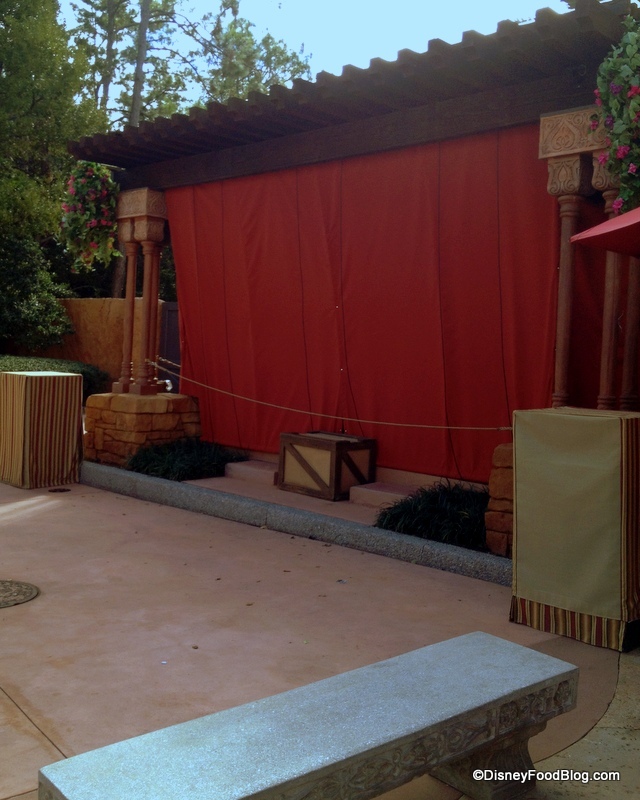 They were hard at work on it when we visited at Christmastime.